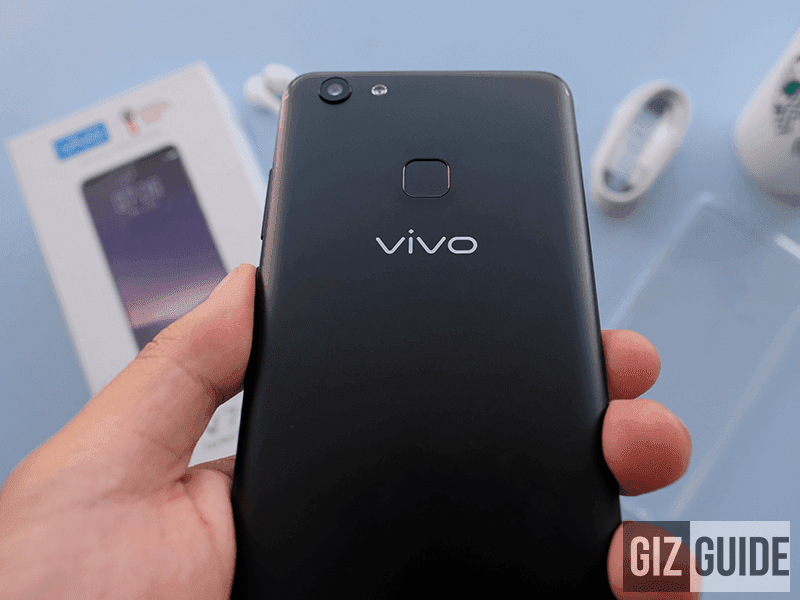 Heavy marketing and widespread rumors have made this the most exciting and the most beautiful phone from Vivo yet! Does it live up to the expectations? 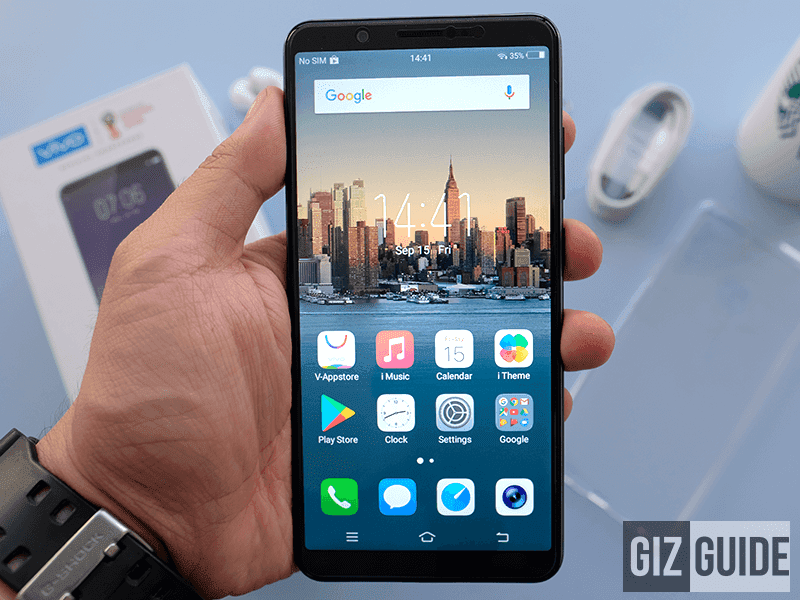 We were impressed with the phones that Vivo has been releasing the past year. It is also noteworthy that Vivo in a span of one year in the Philippines has eaten quite a bit of market share. These all add to the pressure of expectations are weighing on this phone. Meet Vivo V7+, the very first smartphone of the company equipped with a near bezel-less display w/ the trendy 18:9 screen aspect ratio. Disclaimer: This is a loaned unit from Vivo Philippines but rest assured that our review will be honest and unbiased. Minimalist exterior box design with branding and feature highlights that add anticipation to the unboxing. Inside is the V7+, jelly case, 2A power brick, USB to micro-USB cord, headphones, documentation and sim tray ejector. Fingerprint sensor and main camera on the back! The phone is solid with a bit of heft to it. What's unique with the feel of it is the curved panel on the sides. It feels good in the hands but it may feel that it will slip. The back plate on the other hand is textured so it helps to prevent slippage. We did the tap the plate test and suspect the backplate isn't metal. We would have to spend more time with the phone to verify. The screen is the highlight of this phone because it eats up most of the front part. Though it is 720, which could be a problem for pixelpeepers. It is bright and vivid but not as high resolution as we'd like it to be. The screen is also protected w/ Gorilla Glass. It's body is small for a phone w/ big screen. 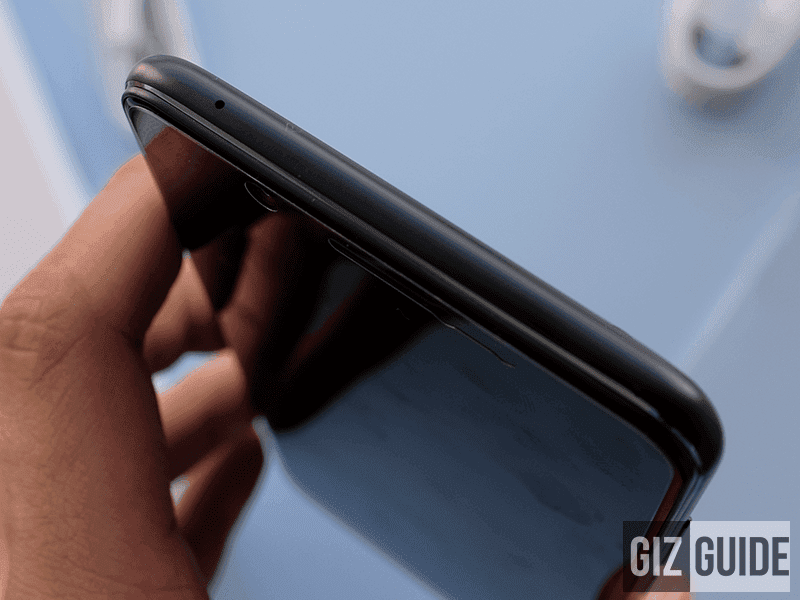 This curved glass also makes the phone feel even thinner than it already is. This coupled with the black color one will make this phone so sleek! The hardware buttons have a a satisfying tactile feedback. 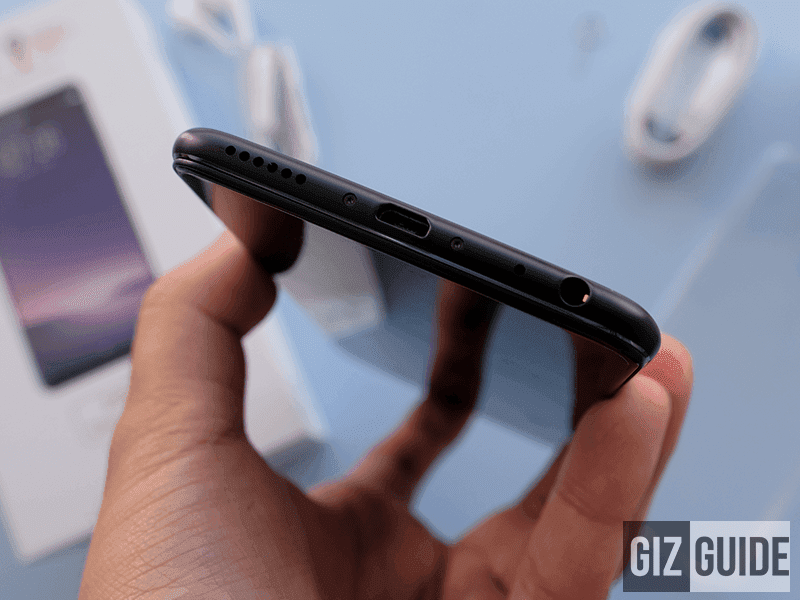 The thing that stood out aside from the display is the reposition of the fingerprint scanner at the back. Once set up the scanner is fast. As soon as you place your finger it unlocks! Accurate and responsive. In front are the display and above it are the earpiece, microphone, secondary camera and the sensors while the on screen navigation buttons are at the bottom. The corners of the display is also rounded off like the one on the LG G6. 1. The backplate when tapped sounds like it is made of polycarbonate and not metal. This along with the immersive curve glass could make the durability of the phone to drops a little questionable. 3,255 mAh could be just fine for its HD+ resolution. 2. The screen is stunning! 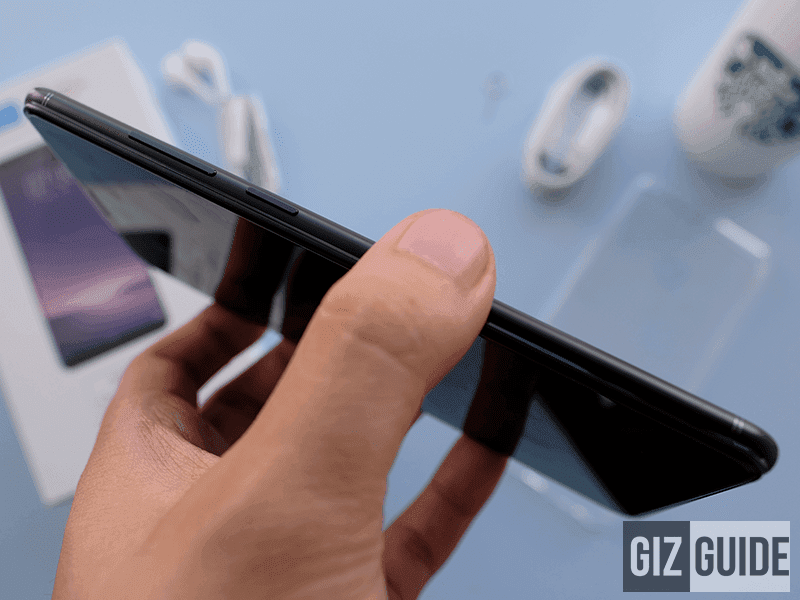 Sure it is just HD+ but it is very rare to find a bezel less curved 18:9 display at this price. It is also bright enough to read outside under the sun. 3. It's the second Nougat powered handset from Vivo in the country. It also has the new Funtouch OS 3.2 w/ Smart Split 3.0 for multitasking and App Clone mode to enable 2 apps at the same time. 4. The 16 MP f/2.0 OV16880 main camera takes sharp and vivid pictures may it be daylight or low light for a phone. The 24 MP selfie camera is impressive daylight and low light selfies and groufies too. It even has Face Beauty for video calls. 5. We like that it has a fingerprint scanner behind, face unlock mode, LTE, OTG, LED notifications, and FM Radio. We are loving the main and selfie cameras of this phone! 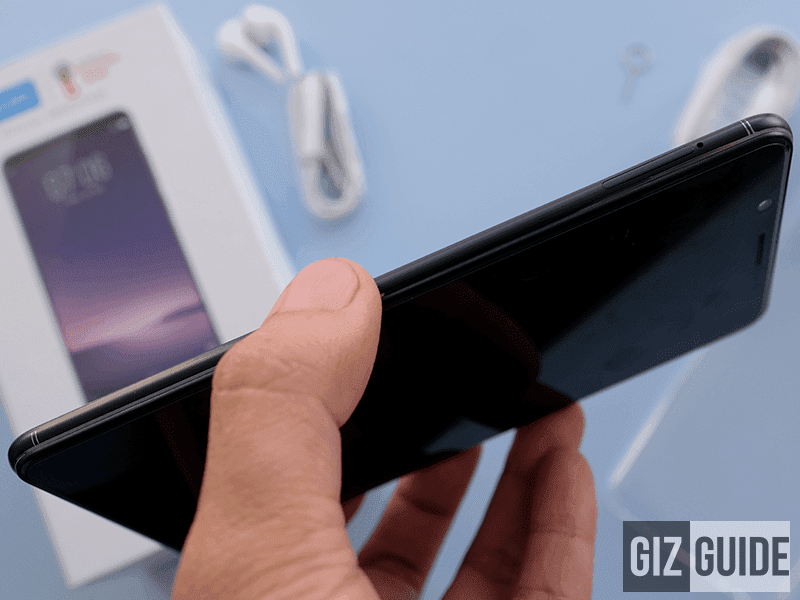 It is clear that Vivo had to compromise on some specs to bring that bezel less curved display to this price but we are willing to let those go because everything else works well so far! 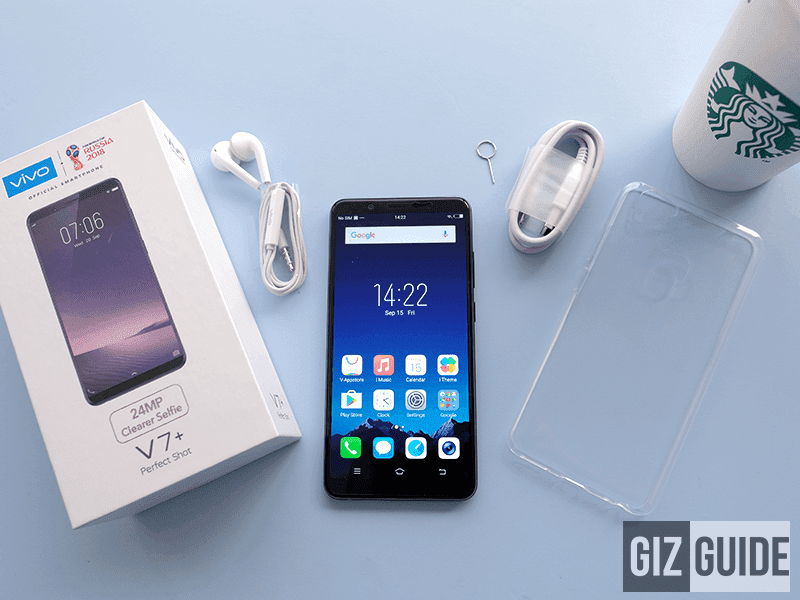 For our review: Vivo V7+ Review - Bezel-less 24 MP Selfie Machine!